It's Secret Recipe Club tiiiiiiiiiiiiiiiiime! 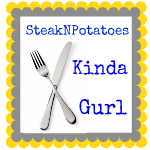 This month I was assigned to Veronica's (aka Vonnie's) blog, My Catholic Kitchen. I knew I'd love her blog as soon as I read that she loves Krispy Kreme Donuts, fried chicken, and southern food just like me. 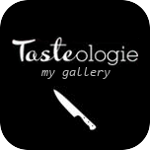 And her recipes have been featured in Taste of Home cookbooks! What an accomplishment! I did my usual perusing and spotted some eye-catchers like Nutella Swirl Bundt Cake and Bourbon Burgers, but finally had to narrow it down and chose her Stuffed Mushrooms. I made a few changes, mainly just that I used fancy cream cheeses and added some fresh chives. I liked this new Spicy Jalapeno cream cheese flavor... it added the perfect amount of heat to make these little apps even more flavorful. I made 8 portabello stuffers total. Next time I'd make less cream cheese mixture and not fill them as much so I adjusted the recipe to show a little less cream cheese. You can adjust your recipe to yield a mushroom:cream cheese ratio that suits you and your family though. These little guys were on point! 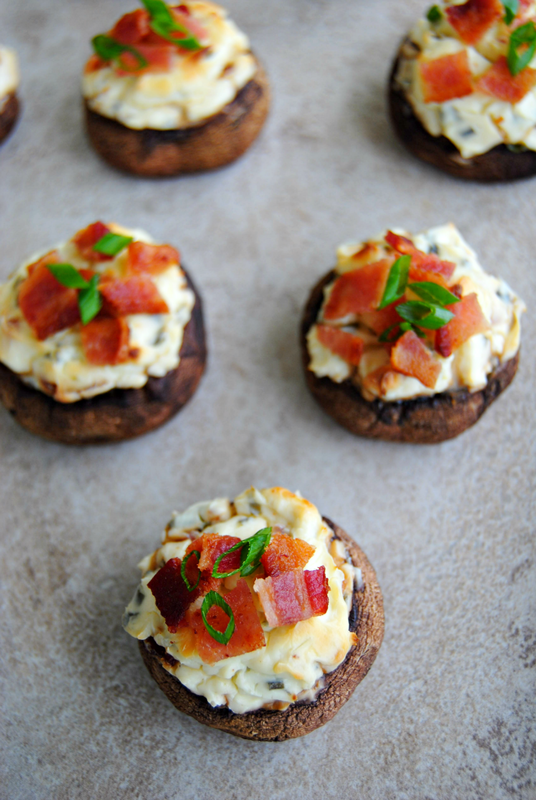 But did you really think you could go wrong with roasted mushrooms, bacon, cream cheese, and chives with a spicy kick? Didn't think so. In a large bowl, mix cream cheeses, crumbled bacon, and 2 chopped chives. Mix until well blended. Stuff mushrooms with mixture. Bake on a baking sheet with edges/rim at 350 degrees for 30 minutes or until lightly browned. Top with reserved bacon and 1 chopped chive. Veronica has the best recipes. I love reading her blog. Fantastic looking appetizers here! Hi, I'm an honorary group C member this month. 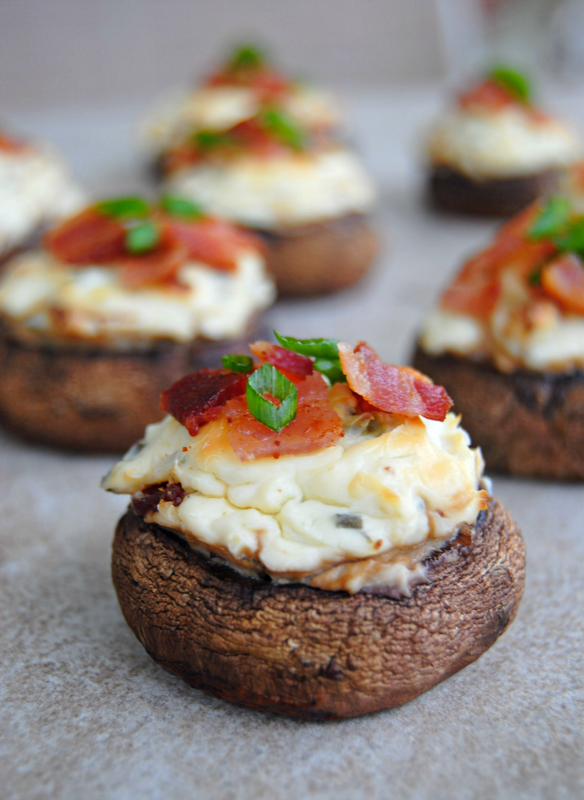 :) Yum, these are right up my husband and I's alley, we could make a meal out of them. I am so glad you got my blog! 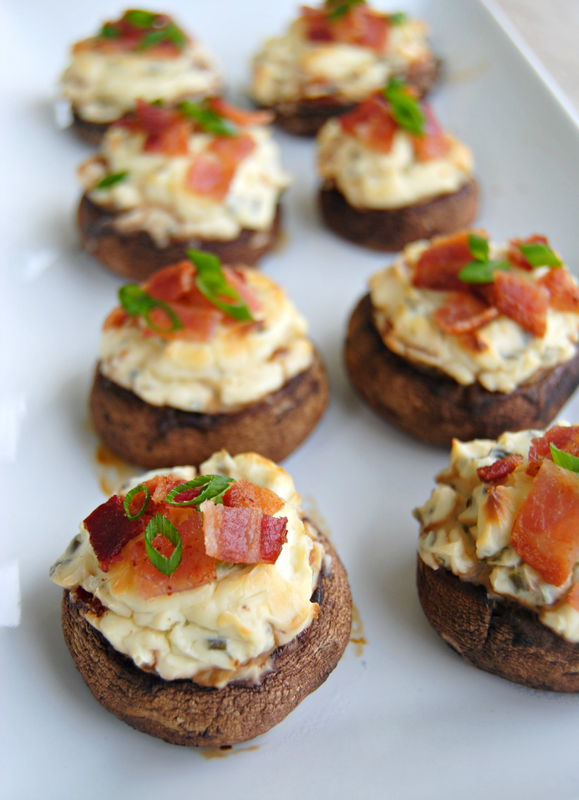 The next time I make these mushrooms I will have to try the jalapeno cream cheese what a great idea! These look so pretty! 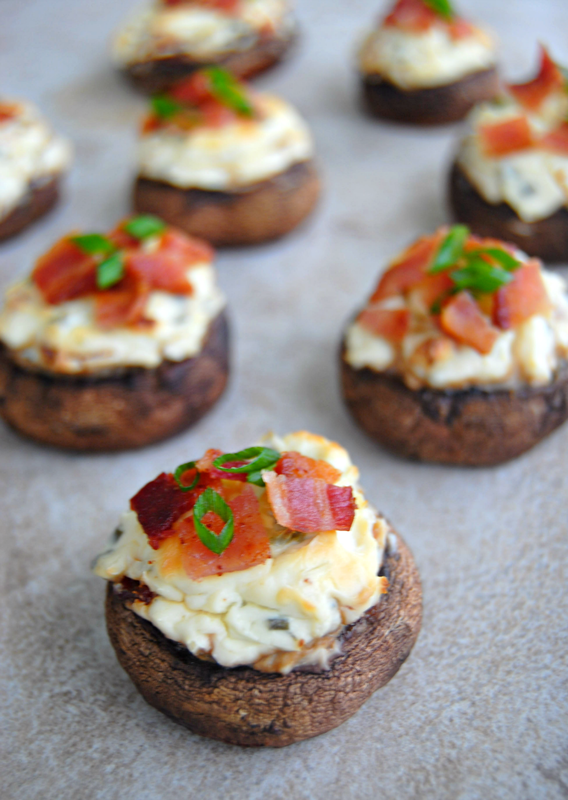 Great for an appetizer party! I like your cream cheese upgrade, I have to find that stuff. It would work great in "turtle eggs" (cream cheese stuffed sausage balls). Oh my gosh! YUM! I'd eat the entire batch they look so good! OK - I just got a bunch of portobello mushrooms and made "pizzas' last night but now I'm regretting I didn't make these instead! Next time for sure - yum! Yum, these look great! I also loved having your blog this month, so many great recipes to look through! Oh wow! That looks like one perfect bite. A mouthwatering flavor combo! YUM. Oh my goats, you are hired. AS my personal appetizer maker. I need these in my life. Oh and guess what? This update came to my inbox. YAY! Oh WOW, I am so making these as soon as we get back from vacation! Thank you for sharing at Simple Supper Tuesday. WOW!! Heaven in a Mushroom Cap!!! I pinned this and am so going to make it. I think this is the perfect combination of flavors. Thanks for posting on Tasty Tuesdays. Looking forward to what you come up with next week. wow, looks really good, I'd eat about a dozen!! :) Thanks for sharing at Marvelous Mondays! Yum, these look delicious! What a great appetizer! I am surprised my sister didn't beat me to this recipe! She is a mushroomholic. Thank you so much for joining our BBQ Block Party and sharing your recipe. The pic is beautiful. These look delicious and your photography is just stunning! Thanks for sharing with us this week at Monday Funday! Hmmm...I am not sure what I love the best about these. The bacon is tops, or is it the mushroom? Perhaps the filling? I think I could make a meal out of these! Thanks for sharing this great recipe at the In and Out of the Kitchen Link Party. I am featuring this recipe in the Top 10 Favorites post that goes live on Monday morning. Beautiful presentation for this delicious appetizer. I will be trying these very soon! Thank you so much for sharing with Full Plate Thursday and hope you have a great week! ooh yum! This is my kind of treat! Thanks so much for linking up to Friday Food Frenzy! These look awesome Desi! 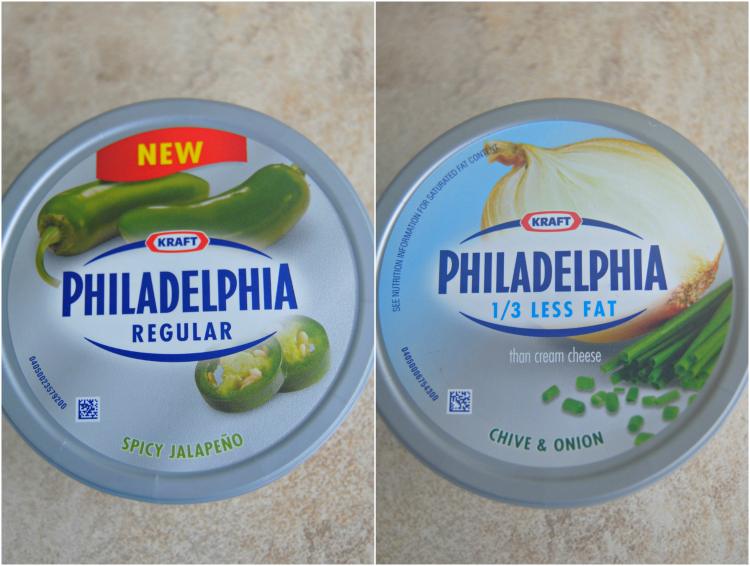 Love the flavored cream cheese, they are so cute and perfect for quick appetizer! These look absolutely mouth watering! How can you go wrong with bacon and cream cheese? 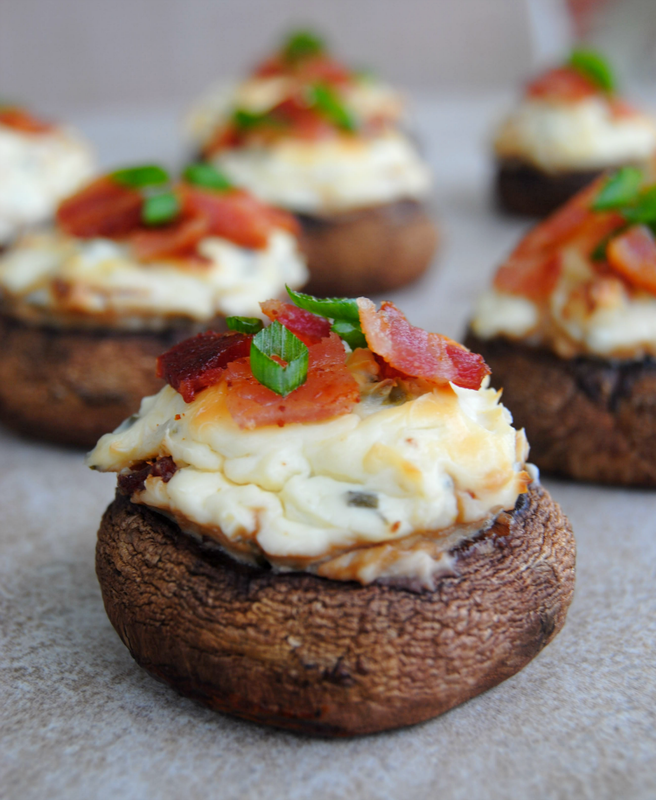 I have made stuffed mushrooms in the past but none that looked as good as these puppies! Oh, Desi...I hope you share because I really would like one of these. Love how they look and I love what's in them. Thank you for sharing with See Ya in the Gumbo. Just wonderful 'shrooms! Pinned! So glad to have found your blog through the blog round up at Buns In My Oven and now following you! Keep up the great blog!! Wow! Jalapeno & onion cream cheese! YUM! Thanks for linking up to Sweet & Savory Saturdays #23. I can't get over wonderful these look! Oh these are absolutely adorable! They would be so great at a party, too! Definitely man food & my kinda food, too! :) Thanks for sharing at #GetHimFed! You've been featured & I'm following you now! These look amazing. Thanks so much for sharing this post with Wednesday's Adorned From Above Link Party. We are featuring it at this weeks party. Have a great week.